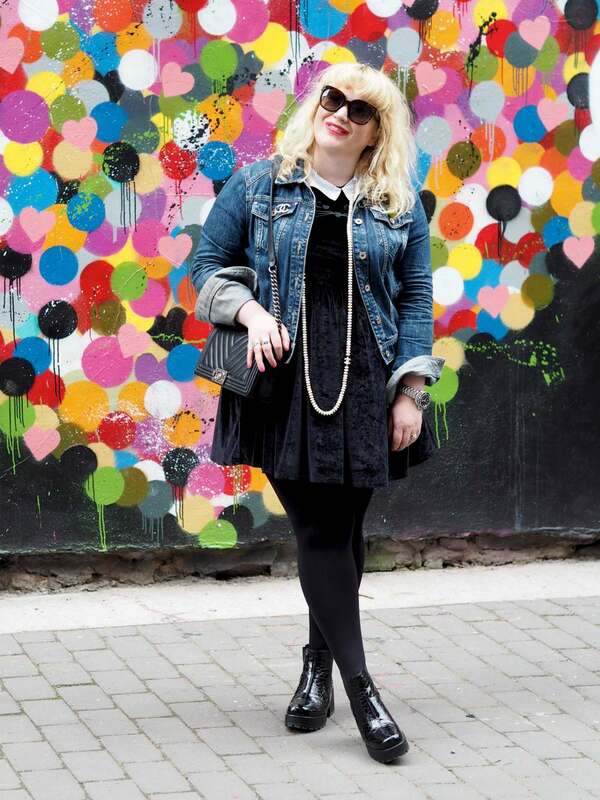 Perfume: Jo Loves Graffiti Inspired Fragrance Body Sprays - Fashion For Lunch. You know that meme ‘It’s ugly until Rihanna says it’s not’. Well, that’s how I feel about these Jo Loves Body Sprays. If you had told me last week that I would be dedicating a few hours of blogging time to aerosol cans of body mist, I would have told you to take a hike. Until this week, I thought I was better than a body spray, and then Jo sprinkled a little magic into a can and I came running! Jo Malone (creator of Jo Malone London and now of Jo Loves) is the Rihanna of the fragrance world. She is a pioneer and where she goes, others follow. 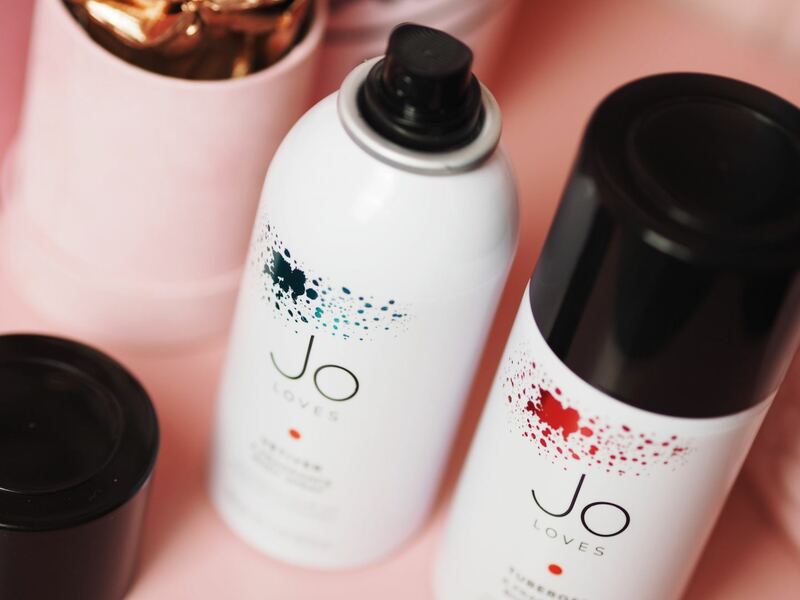 So be warned my friends, there’s probably gonna be a whole load of body mists launching soon, and I’m pretty sure no one will be able to capture fragrances in a can in such a glorious, luxurious and natural way as Jo Loves does! There are four fragrances in the Jo Loves Graffiti Art Body Spray Collection; Vetiver, Tuberose, Fig and Grapefruit. I have two of the four, so please be aware that if neither of the ones below appeal to you, you can find the other fragrances in the Elizabeth Street store in London or online at Space NK. Classic with a contemporary twist, Vetiver is a lovely body spray for both men and women. At first I thought it was a little too masculine for me, but after wearing it on a stifling hot day, I really grew to love it’s clean, fresh and breezy vibes. Plus, on a hot, sticky day, it made me feel refreshed & carefree, and that’s invaluable! It can be misted onto clothes, skin and hair and layered up with any of the Jo Loves Paintbrush Perfumes, Personally, I would pair it with the Pomelo to add a little citrus zest to the earthy grassy notes. Who would have thought the heady, opulent and vibrant scent of tuberose could be captured in a can!? Not me! But here it is, warm, rich, fabulous and oozing charm! This Tuberose body spray is good! Also, if you are a fan of the Fragrance Paintbrush’s, you can combine the Tuberose Body Spray with the White Rose & Lemon Leaves Paintbrush to create a slightly more long lasting fragrance which has an added freshness of white roses, green leaves and zesty lemons to the fragrance. Stunning! By far my favourite of the two body sprays, but that’s more about my personal taste, rather than the perfume itself, I love Tuberose! 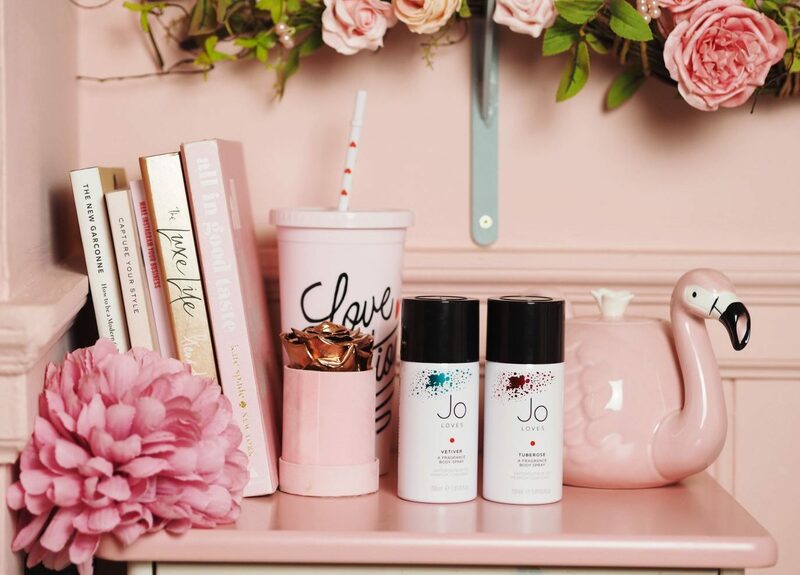 Personally, I don’t think I could ever be torn away from my classic Jo Loves perfumes (White Rose & Lemon Leaves is my fave), however, these body mists are great for the summer and a really fun concept. However, if you are the kinda girl who misses the all-over-body mists of our youth, then you need to investigate these! I know quite a few friends who will be really excited about these and I can’t wait to send them a link to this post to them, I know they will be super excited! Alternately, if you are an avid gym-goer and you want something to spritz after a lunch time work out, then again, this could be the PERFECT solution. At £40 a pop, it might seem like a lot for a body spray, but I’d rather pay a little extra and wear a fragrance I love and feel really good, because at the end of the day, that’s what fragrance is for, feeling really bloody good about yourself! Jo Loves Graffiti Inspired Fragrance Body Sprays are out now and available from Jo Loves and Space NK and priced at £40 for a 150ml can. I feel like I have to get this! Body spray/mist as helped me so much this summer, it’s a lifesaver!